Right from our own backyard here in Windsor, Melissa and Noelle have had solid pre-seasons to prepare themselves, to challenge for national titles in their respective disciplines. Melissa will be running in the 800 m, you can catch here live at 5:10 pm Saturday June 28th for heats and then the final will be Sunday at 2:00 pm. Noelle will be seeking a national title in the 400 mH, scheduled to run her first heat at 12:30 pm Saturday and the final is at 10:40 pm on Sunday. We wish Melissa and Noelle all the best this weekend. Tune in to the live stream here: Moncton Live Stream to cheer them on, even remotely it will help! A few weeks ago - I drove by a CrossFit box that I didn't know existed - CrossFit WHL. On my way back - thought I would pop in and see if there was a fit for us to work together. Owner Bobby Tran came over to greet me immediately and quickly after learning about what each other is doing, we decided that we should pursue a partnership. We delivered our first product at the end of June, again at the beginning of July and learned today that they are in need of more product. This is all before we have conducted our two Nutritional Seminars scheduled for July 17th. 1. Progression- in education, in strength. We strive to learn everyday in every domain. We pride ourselves to continually improve, training our mind and body to forge an efficient vehicle that is always better today than it was yesterday. 2. Humility- the one that talks the most is often the one who says the least. Let your actions speak for themselves, and check your ego at the door. 3. Positivity- this is no place for “I can’t”. It’s not about what you can or can’t do. It is about what you are willing to do. Our failures are our stepping stones to reaching greatness. Your chance of getting to the top only stops when you stop climbing. 4. Respect- we hold ourselves to a higher standard. Think before you speak, show courtesy, be a role model to those around you. You are judged by the company you keep. 5. Responsibility- make good choices and be accountable for your actions. Be dependable, keep your word, exercise self-control and good judgement calls. Have conviction in your actions, stand by them and do not make excuses for your mistakes. 6. Fearlessness- get comfortable being uncomfortable. Fear is not something to be scared of; it is something to be harnessed and controlled, to be manipulated in our favour, in helping us achieve the feats we once thought were impossible. The one who covers the most distance is the one willing to take the biggest step. 7. Family- We are a community from which each individual can add and also withdraw strength, motivation, and support. We protect and care for the people under our flag. We look forward to working with Bobby and CrossFit WHL gang. 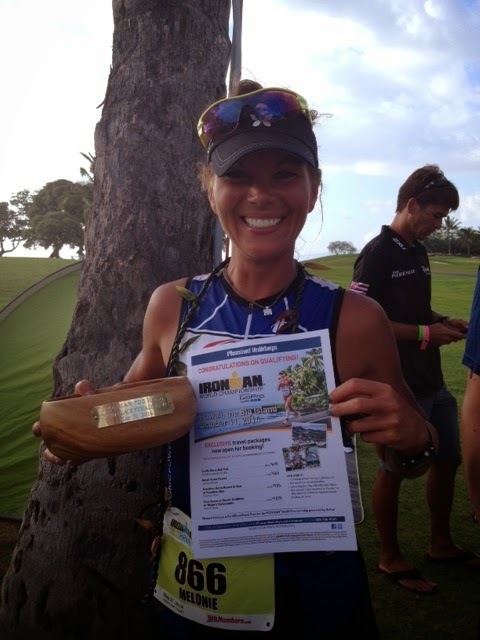 We Fuelled Melonie's Dream of Going to Kona!!! There are many things I love about my role at Infinit, one of the top? Fuelling those who set crazy goals and actually achieve them. Especially when it is a goal I have yet to achieve. Melonie started using us July of last year ahead of Ironman Canada, as Mel puts it: "I had the race of my life". She was 8th in her age group with the fastest run split - crazy fast at 3:28. Melonie told us: "I believe my successful run split was a result of my nutrition plan on the bike - and that nutrition plan was your product. Thank you very much for looking after me out there!!". We were thrilled with the feedback. Not sure if you remember me. 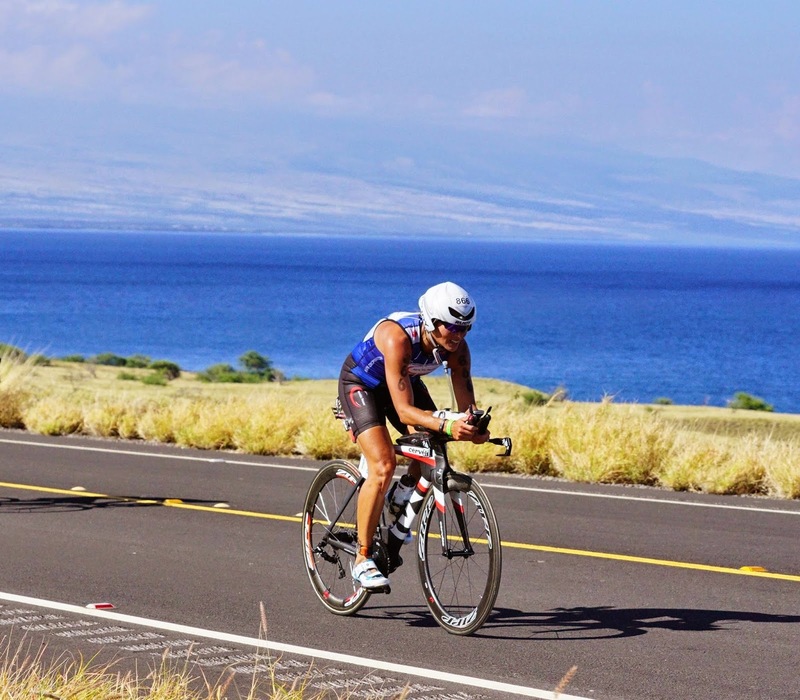 I am the Edmonton triathlete who had big aspirations of qualifying for IMWC in Kona. Just wanted to let you know, I did it!!!!! I had the race of my life at the Hawaii 70.3, came 3rd in my AG and clinched a IMWC spot and a 70.3 Worlds spot in Mont Tremblant. So with the ITU worlds I will be competing in 3 world events in 6 weeks. Very exciting and a complete dream come true. My race went so well and a big part of that was my nutrition. SO thank YOU!!!!! Infinit has never let me down. Even in Hot, Windy Kona...I felt amazing. It is a very tough race. One of the toughest I have ever done, particularly the run. The run is on a golf course, mostly spongy grass and undulating to say the least. Very tough to get any sort of rhythm going and completely energy zapping. It was like a war zone out there. Almost everyone was walking or cramping or suffering. NOT ME!!! I felt great and after a extremely tough, hot and windy bike. My nutrition on the ride made all the difference on the run. I know that. I got my Kona spot by passing a woman in my age group with 1 mile to go!!!! I blew past her and she had nothing to try and fight me off. I can bet you she didn't have Infinit in her bottles on the bike!!!" Congrats Melonie - we will be tracking as you tackle the ITU World Championships, 70.3 World Championships and of course Kona! Enjoy the rest of the ride - you deserve it. Anyone close to Infinit or those CrossFit gyms that have us on board know that we took the long way to fuelling this new group of athletes. Traditionally we serviced endurance athletes, after doing that very well, it opened some huge doors, a big one was partnering with the Canadian Sport Institute - Pacific. Serving the needs of the elite athletes supported by CSI allowed us to work with completely different athletes, with completely different needs. 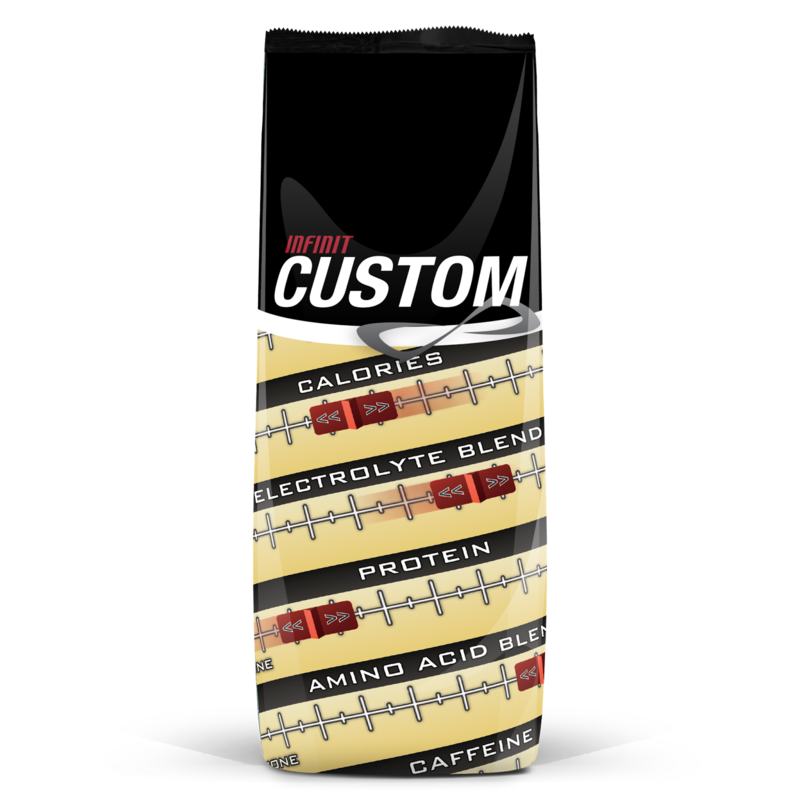 With their experts we created a host of new sports specific blends that were targeted to fuel these new disciplines - Swimming, Rowing, Rugby, Snowboarding, and Canoe/Kayak to name a few. Then came CrossFit. One of the 4 athletes we partnered with, to explore how to optimally fuel CrossFit athletes was Erica Livett, a top Western Canada athlete and coach at CrossFit North Okanagan. Coach and owner of CrossFit Okanagan Garth Cooke also had important feedback along the way. When all was said and done, we had created 3 new blends to service the community; X-Cite, Rescue and Raw. The blends cover prehydration/during (for longer workouts), recovery and straight protein to ensure total protein needs are matched with the best performing protein available on the market. Garth having first hand input and knowledge of the products welcomed them into his box for sale. Officially the first CrossFit facility selling Infinit in Canada, started at the end of May, the best news was he needed to re-order again last week. We are really excited to be working with a top box in the west and in particular the athletes that make it so. What Garth and Erica love about us most - is we are completely custom. If their needs are not met through our sport specific offerings, we have a model that we can customize to meet any individual need. Right now we are working together on BCAA blend that is geared to the body composition crowd, more to share on this soon, we are really pumped about where this is heading. We feel we are completely supportive of their promise. Why Does Erica Livett Fuel on Infinit? 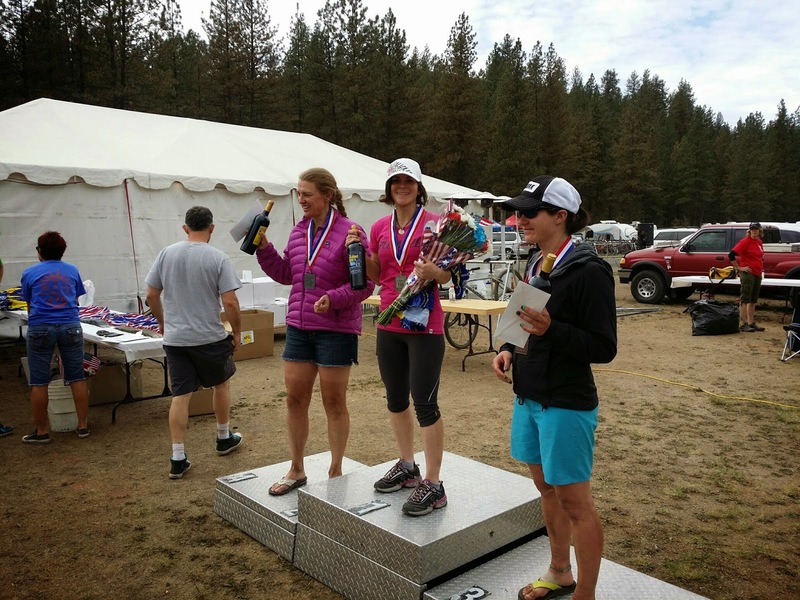 Julie Kelly's Blog Post - 24 hr Relay Win! from Julie's blog: "This would be my second year racing this event. I was looking forward to getting after it as my 6 hour race a couple of weeks prior didn't quite work out as planned. Heavy rain prior to the Salty Dog caused some slick conditions. One lap into it and crashed on a bridge with wire mesh resulting in 7 stitches. Ouch! Dave picked me up in Fernie and we were on our way to Spokane to set up the pit and do a pre ride of the course. Things were in good shape. It was dry and anticipated dusty conditions for the race. The legs felt good and the Fate was good to go..."
Click here for Julie's entire blog post. Congrats Julie - Great Race. Just got this email this morning from Trevor, this is what is all about for us at Infinit! Hi Darcy, I just wanted to let you know that I've now tried Infinit on two 4hr rides and it's a fantastic product. I know two rides of experience isn't a big sample size but so far so good. I have not been experiencing the bonk I've been having after 2 hours on Hammer Perpetuem and no cramps. I also love the convenience of having everything you need in one bottle. I seem to like using 2 scoops per bottle rather than using a concentrated bottle with just water in other bottles. So I'll probably dial up the flavour a bit but I'll be putting in another order soon. Thanks for the help and for creating a great product. My friends are getting curious about the product so I won't be surprised if you get some new customers soon. I'm looking forward to really putting this product to the test at the Leadville qualifier at Whiteface in late June. Trevor asked us through our web email - how long to receive product in Toronto 9 days ago. We told him and then he told us he was using it for cycling and wanted to address a few concerns he was having with his current fuel choice. Suggested to Trevor that we hop on a call and create a custom blend. We did right away and you can see it is working for him. Why Does Ryan Cochrane Fuel on Infinit? Anyone who gets to know me, understands that I truly believe in the law of attraction. What do I mean? I believe you state what you wish to accomplish, think it, in order for something to become a reality. Back last fall that is exactly what I did. 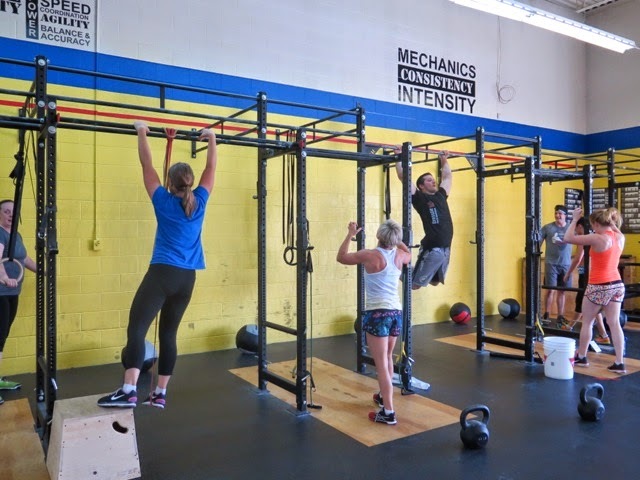 Knowing that we fuel some of the best athletes in the world and that CrossFit athletes' energy and recovery requirements are not a lot different, we felt that we could really help an exploding community and of course help our business. So I said it - I want to fuel CrossFit athletes, but I had know idea where to start. That was until I came across a local publication: BizX that featured a new local start up: BadassW.O.D.Wear. Reached out to Manda and after a quick coffee we realized that we should partner, we were confident there would be great synergies between our two organizations. Things are rocking for both companies - the emergence of the BadassW.O.D.Wear brand has been really fun to watch, in a few short months and appearances at both the Canada West and Canada East regionals it has taken off. Happy to report the same is occurring for the Infinit Strength blends - which have been specifically created for and by a group of elite CrossFit athletes. Infinit: Tell the group about Badass WOD wear brand, why did you create it? Badass: We are an e-commerce retail store designed for our Canadian CrossFit Athletes and their communities. Being a long time athlete myself, CrossFit was a great fit for me and my competitive nature. I instantly knew that I had found something different. When I understood that CrossFit was a sport "The Sport of Fitness" and not just another way to keep in shape. I soon realized that I wanted to be part of the community and give back in a greater way. If I could start a company that supported the Canadian CrossFit athletes and helped progress the sport in Canada then that is what I needed to do. 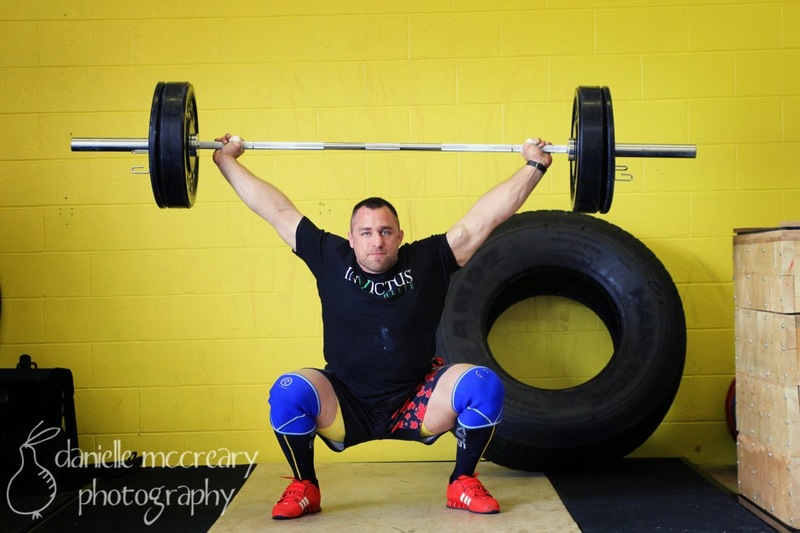 Great Canadian CrossFit athletes, like many other sports go unnoticed, unsponsored and lack the support from our community to take their sport to the next level. 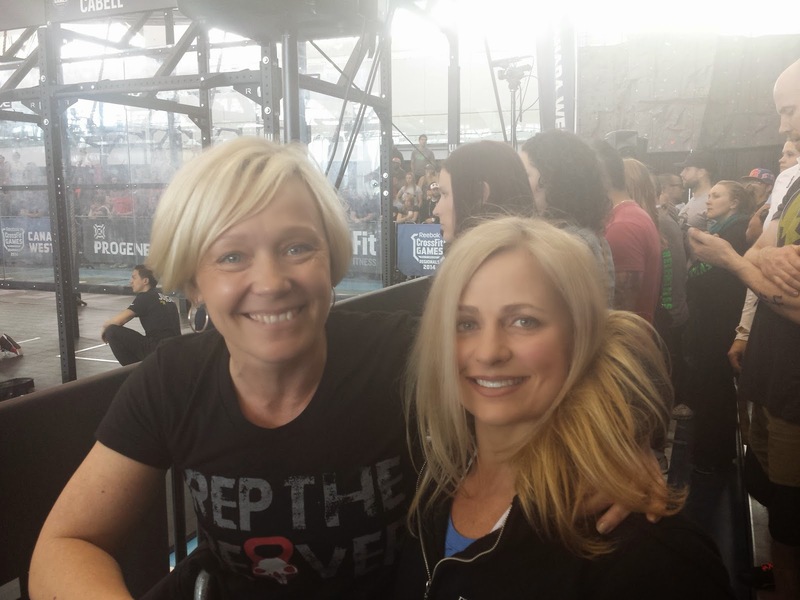 I wanted to embrace our athletes and the community giving back to it' local charities, it's affiliates and the people who are helping shape CrossFit in Canada. And to fund such a project, I knew we had to sell a couple TShirts. 25% of all our revenue gets infused back into the CrossFit community! Infinit: Talk about the growth of CrossFit. 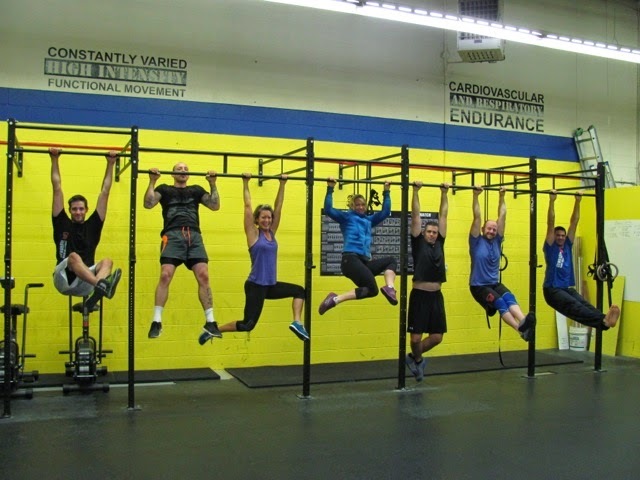 Badass: Really, CrossFit is just in it's infancy in Canada. When talking to box owners most have only been open for 1-2years. As of 2013 only 7.4% of all CrossFit affiliates were located in Canada. To put that in perspective the state of Texas has more CrossFit affiliates than Canada as a country! I've watched from Aug of last year to today, newly registered affiliates in Canada have almost doubled! This is good news for Canada and our sport as this will spread a larger net to grab even more future CrossFitters who may prove to be the fittest in future events. This also leads to more exposure in Canada which should lead to more companies stepping up to support these new athletes in reaching their goals. Infinit: Why did you choose to partner with Infinit? Badass: I couldn't have asked for a better fit than our partnership with Infiniti Nutrition. Darcy has the same focus on athletics and supporting our Canadian athletes as we do. Putting the mighty dollar aside we soon began to talk about evolving the standard of fuelling for CrossFit athletes and offering them a product that they could ultimately make their own. Infinit was keen on helping improve relationships and help support our athletes to achieve greatness in their years of competition by providing them with the best fuel and helping us support their journey. 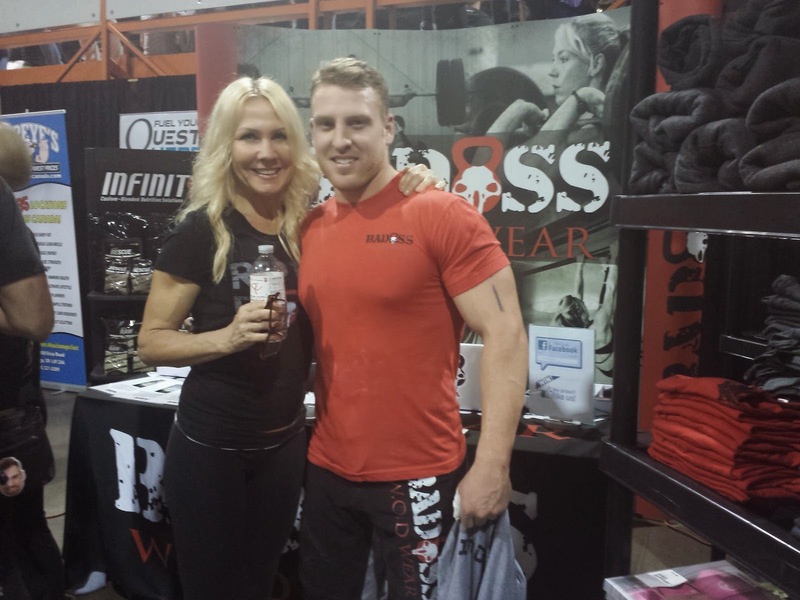 We soon realized that Badass and Infinit will always be seeking to forge beneficial relationships with inspired Canadian athletes who are looking to forward the sport of CrossFit in Canada. We soon realized our mission is to enhance all levels of our sponsored athletes performance, growth and assist in development of their brand within the sport of CrossFit. We also knew that we needed to aim to finance the development of our athletes through competition, training and education. And, outfit and custom fuel them to assure they have the all the tools needed to succeed. Infinit: How has it gone so far. Badass: Well, there have been a lot of laughs! Our partnership has been fun and super organic. This rubs off naturally on our athletes and the people we have met in the community, allowing our name and our brands to have reached across Canada in such a short time frame. In two months we have managed to speak and deal with hundreds of fantastic people in our Canadian CrossFit community. I'm so excited to see where we'll be after 2014! Infinit: What is in the horizon for Badass? Badass: The near future is going to include some fun collaborations with Canadian companies to bring together the community. We have developed "Super Jock" a competition that will bring elite sponsored athletes together to compete in a team competition. These athletes will be representing their sponsored companies and will compete against other team sponsored athletes for a charity of their choice. We are also looking to put together an annual event for Kids in CrossFit. It's so important to not only support our mature athletes but also help develop our future stars and give them a platform to shine. We will continue to give back in years to come and think of innovative ideas to keep our community thriving and strong. We hope to be offering some great new products in the near future like Inov8 shoes, a new compression wear company that we'll soon be launching and we'll continue to evolve the brand. #REPTHEBEAVER !!!!! We are thrilled to be partnered with BadassW.O.D.Wear. What Fuels Julie Kelly for a Day In Her Life? 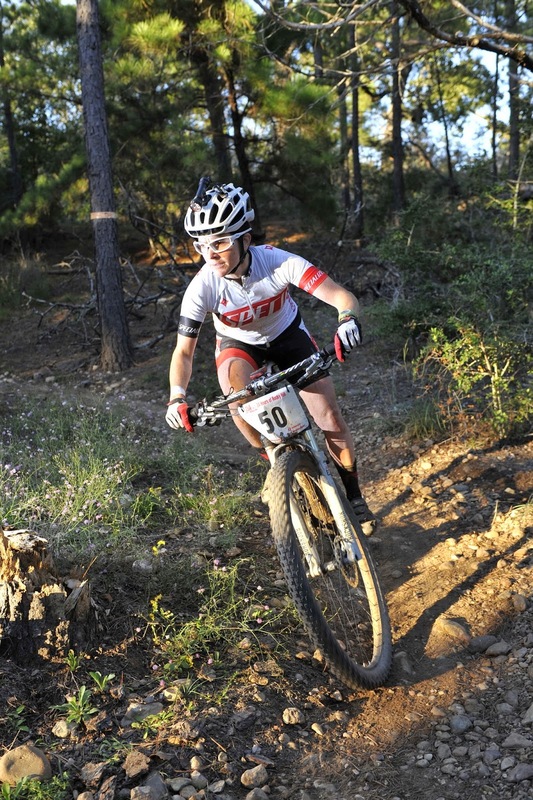 So just over a week ago TeamInfinit athlete Julie Kelly set off for a 24 hr - Mtn Bike in Spokane Washington for the "24 Hours Around the Clock" race. 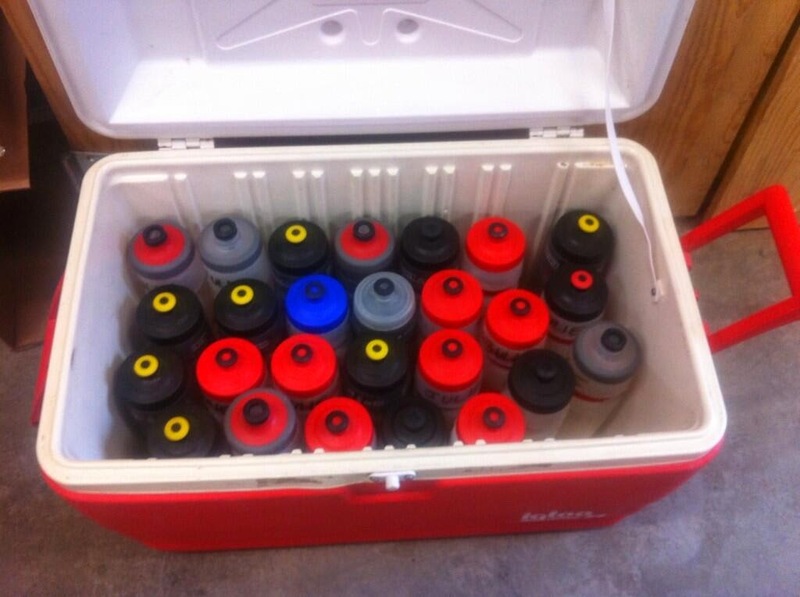 Julie had tweeted the night before the race that her nutrition was all set: "25 bottles of Infinit ready to go. Infinit Nutrition Canada, love that this is the only fuel needed for my 24 Hour race." We are really proud to be fuelling Julie, we love that Infinit fuels her completely no matter what she tackles. Congrats, very impressive.